Evan and Kyanne Livingston are a husband and wife team that collaborate in the creation of pottery. Together they have over 5 years of professional fine art instruction. They are served an apprenticeship under master potter, Steven Scagnelli, of Sedona, AZ. 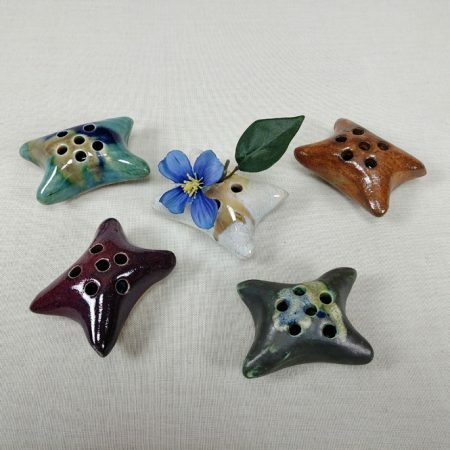 They view clay as a 3 dimensional canvas for artistic expression. The layering of multiple glazes and metallic oxides creates many variable and spontaneous color effects. 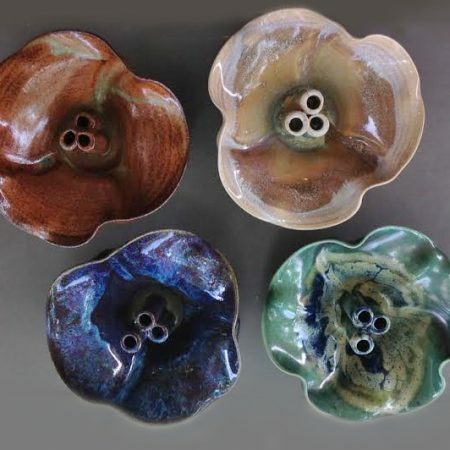 Each piece is unique, with brilliant or subtle color intensity. Their foundation in fine arts enables them to approach pottery with an artistic perspective; balance, focal point, proportion, rhythm, and unity are principles that influence their work. 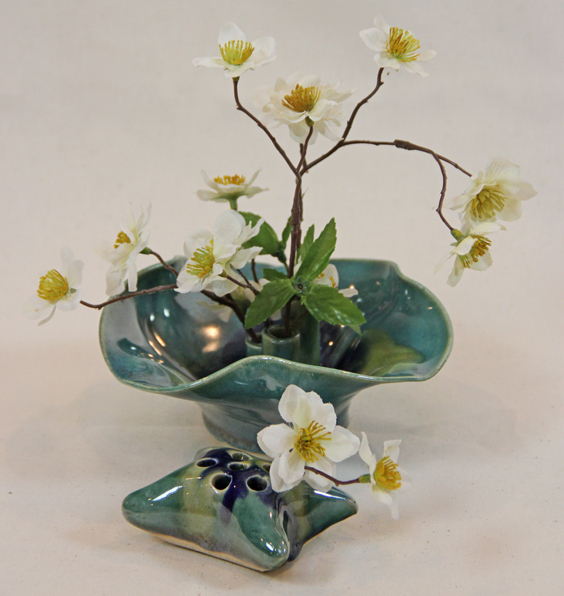 "Fresh flowers add the finishing touch to our ikebana pieces. The exquisite beauty of flowers inspires us to ponder the wonders of the creator of flowers."